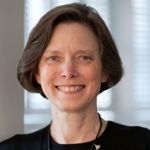 Kristin Mann, Professor Emeritus, (B.A., M. A., Ph.D., Stanford University); eighteenth through twentieth-century African history; gender, marriage, and the family; slavery, emancipation, and the slave trade; colonial political and legal changes; and West African commercial and agricultural transformations. Author of Marrying Well: Marriage, Status, and Social Change among the Educated Elite in Colonial Lagos (1985); co-editor of Law and Colonial Africa (1991) and Rethinking the African Diaspora: the Making of a Black Atlantic World in the Bight of Benin and Brazil (2001); and author of Slavery and the Birth of an African City: Lagos, 1760-1900 (2007), which was a finalist for the Gilder Lehrman Center’s Frederick Douglass Prize. I am currently working on a project entitled Trans-Atlantic Lives: Slavery and Freedom in West Africa and Brazil. It uses court records from the British colony of Lagos to identify persons of slave origin mentioned in them and recover information about their lives in West Africa and Brazil. The stories these individuals told in court are being analyzed for the memories they contain of the slave trade, slavery, and freedom on both sides of the Atlantic, as well as for the insights they yield into the social relationships and cultural practices of these slaves and freed people. Further research using archival sources in Brazil and from Nigeria and Britain is fleshing out the biographies of the slaves and freed people identified in the court records, illuminating how they sustained relationships with one another through time and across space. By casting new light on the networks of exchange, sociability, and belief that bridged the Atlantic between the Bight of Benin and Brazil in the nineteenth century, my research is contributing to knowledge about the vibrant diaspora linking these two important regions of the world.